Maverick Series Legend Football Player Awards. Available in 5 sizes, 125mm, 135mm, 150mm, 175mm and 200mm high. 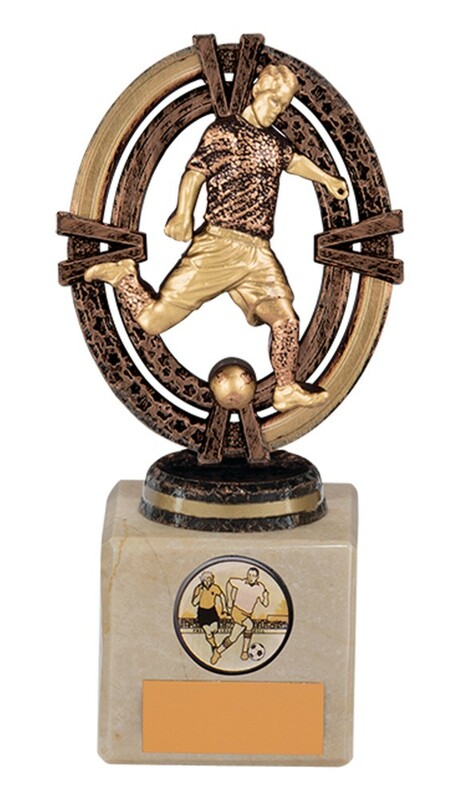 Bronze football figure & ball scene mounted onto a heavy cream marble base. 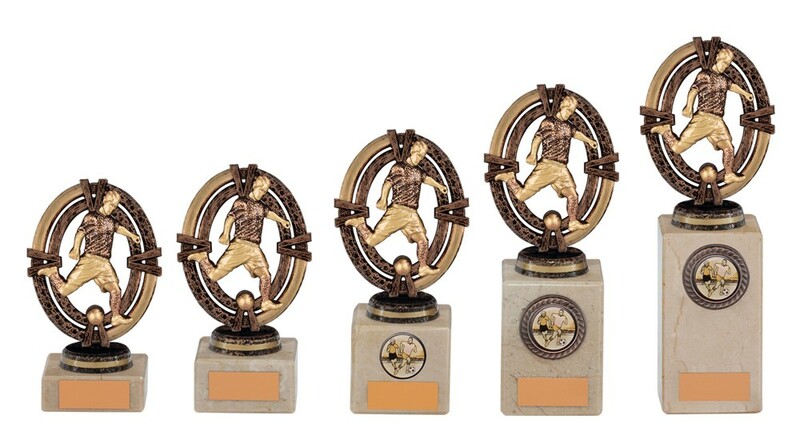 Free engraved plate included and standard 1 inch centre. Customised centres available at an additional charge. Please note there is no space for a centre on the first 2 sizes.